From wildfires to heat emergencies climate change is the greatest threat to health today. Join Lancet Countdown on Health and Climate Change Canadian Policy Brief authors, Drs. Courtney Howard and James Orbinski as they reveal top Canadian climate-health challenges and recommendations for a healthy response to climate change. The Lancet Countdown: Tracking Progress on Health and Climate Change is an international research collaboration dedicated to tracking the world's response to climate change and how it affects global health. Reporting annually in The Lancet, it follows a series of indicators, demonstrating that this transition is possible, that it has already begun, but that more work is needed. Impact of climate change on mental health. 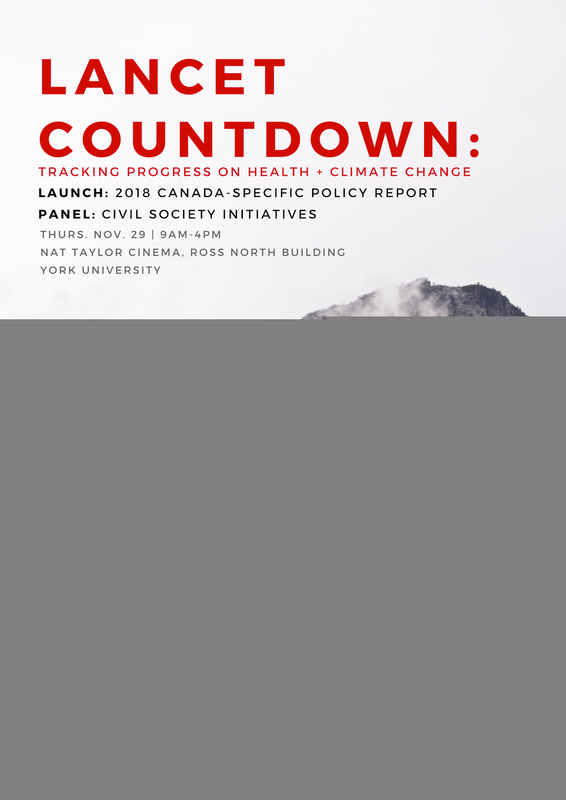 The discussion will offer insights into the Canadian indicators in the global context, allowing for health policy-makers, academics and others to learn more about action towards a healthy climate in Canada. A Q&A session will follow the presentation by Drs. Howard, Orbinski, and others. George Kitching (Schulich School of Medicine and Dentistry, Western University). Edward Xie (Global Health Emergency Medicine, University of Toronto).